YANGON — With ambitions of becoming a genuine smart city, Mandalay — the country’s last royal capital at more than 160 years old — is in the midst of a high-tech makeover at the government’s behest thanks to an eclectic team of doctors, engineers, lawyers, writers, journalists and IT experts. After a year of work out of the spotlight, the Mandalay City Development Committee (MCDC) was recently rewarded for its efforts, being named among the top five urban areas in Southeast Asia making progress toward smart-city status. 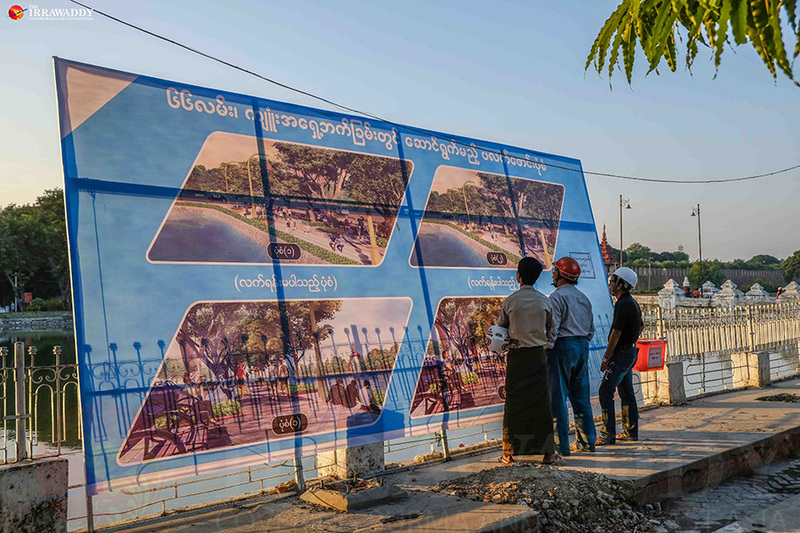 The goal came to Mandalay City Mayor U Ye Lwin last year while attending a mayors’ forum in South Korea, an established proponent of integrating urban planning with IT. 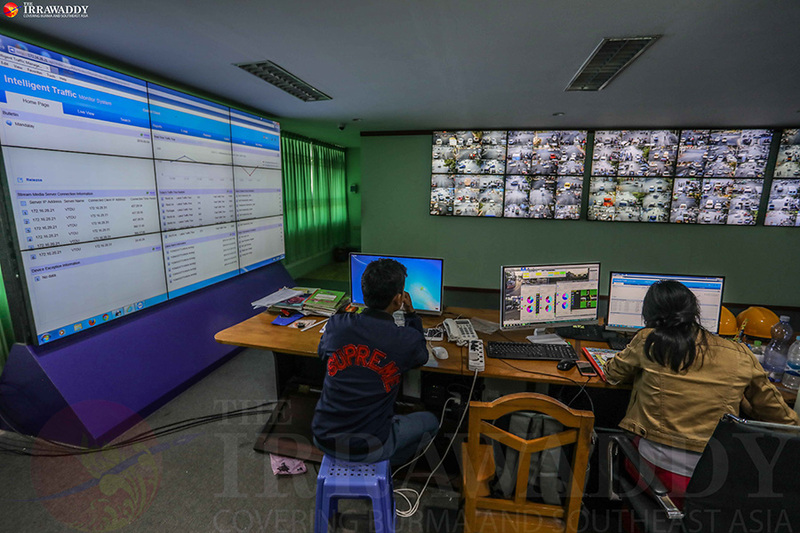 As soon as U Ye Lwin returned home, he introduced his team to the concept of the Internet of Things (IoT) as a way to optimize city operations and services and to connect with citizens. “We gave up the e-government trend because most government departments are not ready yet. 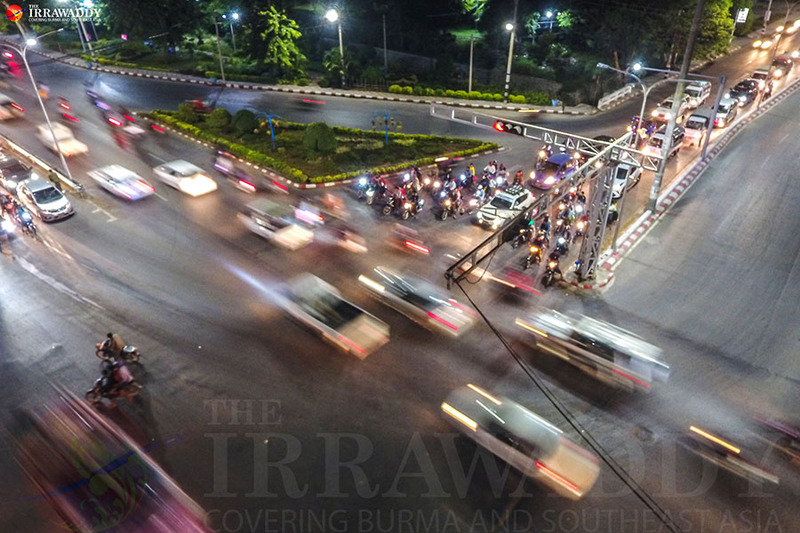 We decided to create an IT-based city by ourselves,” U Kyaw San Myint, a MCDC members and spokesman for the municipal government, told The Irrawaddy. Formed after the 2015 general elections that swept the National League for Democracy to power, the MCDC comprises 11 seats filled by five members appointed by the Mandalay Region government and the elected administrator of each of the city’s six townships. Some 6,000 civil servants oversee the city of more than 1 million people spread over 900 square km. Looking for ideas on how to become a smart city, the MCDC visited Singapore over last year’s Burmese New Year holidays. “We spent our own money for the trip. It was informal. After we notified the Singapore Embassy in Myanmar, the Singapore government let us observe its whole system,” U Kyaw San Myint said. They came away with lots of ideas, combining them with the expertise of Myanmar nationals who have worked in Singapore either for the government or local businesses. Smart-city plans have become popular with cities around the world striving to use IT to become more efficient, share information with the public and improve the lives of their citizens. They collect and analyze data from sensors and video cameras to help them manage their transport networks, power plants, water supplies and waste management systems, police forces, schools, libraries, hospitals and other services. The technology allows city officials to interact directly with infrastructure and to monitor what is happening in the city as it evolves. With help from the Asian Development Bank, Japan, Singapore, the Netherland and other international experts, the MCDC has been using IoT technology to change the way Mandalay fixes roads, manages traffic, collects road tolls, cleans its streets and charges for water. As in Singapore, for example, the city’s traffic lights now adjust automatically based on the level of congestion. Radio frequency identification is being used let drivers pay road tolls electronically, replacing the cash payments so susceptible to corruption. Installed censors are keeping track of water pipelines and water meters in real time to detect leaks. The city has also started installing meters government employees can read remotely using a smart phone app. 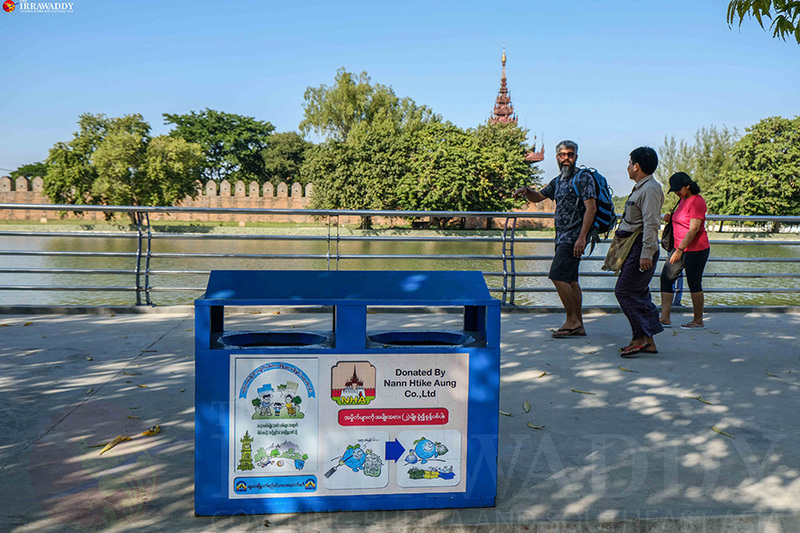 The system was developed by Daw Myint Myint Than, who worked as an engineer in Singapore for more than 13 years and now runs Mandalay City’s Water and Sanitation Department. Mandalay is also trying to cope with piles of garbage clogging the drainage system and exacerbating rainy season floods. To that end, the city drew up a waste management plan to maximize trash collection and the three Rs — reduce, reuse, recycle — by setting up designated public bins and promoting their use in schools. It has organized volunteers in designated model communities to lead recycling campaigns and cleanup drives to cut down on the use of unofficial dumpsites. The mayor himself joins locals and activists collecting trash in public areas every Sunday. Illegal dumping fines range from 50,000 kyats for individuals to 200,000 kyats for factories and construction sites; those who report them get half the fine as a reward. The MCDC has fixed the city’s garbage trucks with GPS tracking devices that monitor their routes and alert the control center if the trucks deviate. “The city’s rubbish system is well managed for now. But if population growth rises rapidly, we need to think about how to handle the dumpsites,” said MCDC member U Thit Sinn, who has been learning from Japan’s recycling and zero emissions programs. The development committee has also been adapting Singapore’s system for managing its wet markets to fit Mandalay, focusing on cleanliness, hygiene and making the food on sale chemical free. The city if working with the Food and Drug Administration to fight the use of unauthorized but widely used food dyes and to check the provenance of the food on sale. “The first time, we warned them. The second time, they have to pay a large penalty. The third time, they have to close their shop for a period of time,” U Kyaw San Myint said. After six months of monitoring, the city’s largest market, Zaycho, was certified as free of the use of unauthorized dyes. Taking advantage of the rapid growth of social media, the MCDC is also gathering data from city employees via Viber, Facebook Messenger and WhatsApp. Each MCDC department has its own chat group on Viber; members share and receive updates throughout the day and well into the night. Those responsible for street lights, for example, have to check that the lights are working every night and share photos with the group. “This way we keep in touch with employees. It’s really convenient when we can’t do a ground inspection. We can check the real situation just by seeing the updated photos and messages,” U Kyaw San Myint said. The MCDC is collecting data on traffic, waste and water management and air quality to help the city cut down on pollution. A smart parking system is also up and running in a few of the townships using an automated payment system. Situated along the Irrawaddy River and near an active fault line, Mandalay has always been vulnerable to floods and earthquakes, all the more so as the city rises and expands into low-lying areas. An influx of Chinese immigrants over the past 20 years has also put an added strain on the traffic system of Mandalay, the economic heart of upper Burma. “Mandalay is experiencing a rapid increase in vehicles. The number of vehicles has increased fivefold in eight years. But we cannot expand the roads as the number of vehicles increases. We need a strategic solution for this,” said U Ye Myat Thu, the MCDC’s designated smart city officer. To cope, the MDCD is working with the Department of Human Settlement and Housing Development and the Japan International Cooperation Agency on an urban development plan looking ahead to 2040. It aims to reduce flood risks and manage the city’s trash, water and wastewater systems with the aid of high-tech solutions. The draft plan calls for developing designated commercial and industrial zones at the southern end of the city, establishing a satellite town in the east, constructing a logistics hub, restructuring the existing central business district and touristic sites, building modern housing, drawing up a public transportation master plan, and upgrading the ports, airports, highways, electrical grid and the water, wastewater and trash collection systems. U Ye Myat Thu said staff were collecting data to inform the plan and that a wastewater treatment plant was already under construction. He said Japan had also started working on a drainage master plan to cut down on flooding. 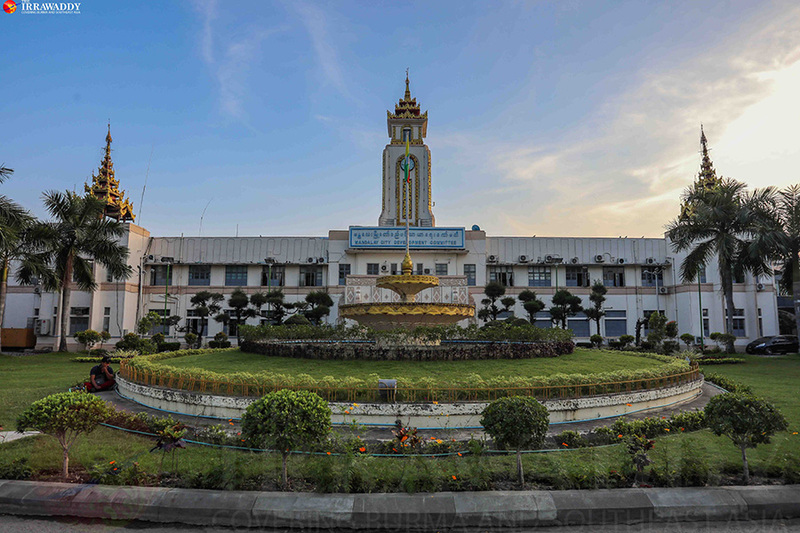 The team has faced considerable challenges in its quest to turn Mandalay into a full-fledged smart city, including a dearth of human resources, disagreement with the Mandalay Region Parliament, budget constraints, red tape and corruption. “We don’t have enough tech experts. Even if we could find experts, we could not give them a high salary under government rules and regulations. So it is difficult to find experts,” said U Kyaw San Myint. The address the human resource shortage, the MCDC recently began recruiting computer science and engineering graduates; the mayor has even extended a personal invitation on his Facebook page. But the shortage was made only worse after 20 employees, including some senior officials, were fired for corruption since the MCDC was formed, some for taking bribes to approve construction permits. “There is always resistance to change. Sometimes there is even resistance from our own employees,” U Ye Myat Thu said. After fitting the garbage trucks with tracking devices, some employees deliberately disabled the devices by flooding them with water. “We have people from different backgrounds. Some people come from the military. Sometimes it is hard to reason with them. Some people have followed the changes but some are still resisting the changes. But we are trying to cope with those problem,” U Kyaw San Myint said. In Parliament, some lawmakers have challenged some of the MCDC’s projects and criticized it for spending lots of money on high-tech software and equipment. They rejected a proposal to increase fines, arguing that the move would hurt the National League for Democracy’s image. Some citizens are worried that some of the smart-city projects could diminish Mandalay’s heritage and damage its historic buildings. “We want the new smart city that reflects what it [Mandalay] used to be,” said Sue Nghet, a popular local author, noting that there were no heritage experts on the development committee. 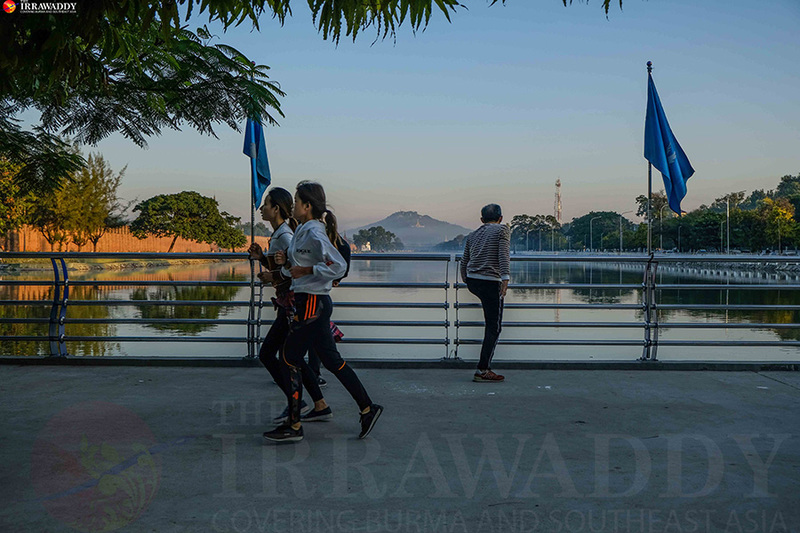 People have also complained about the committee’s recent decision to replace the iron railing running along the moat that surrounds Mandalay Palace with a steel one, arguing that it does not fit into the historic surroundings. “We all really appreciate what they have done for the city, but the decision was totally against the public will,” Sue Nghet said. Regional lawmakers said they also appreciated the development committee’s efforts but added that it should do more to solicit public input, noting that Mandalay’s outskirts still lacked traffic lights and regular garbage service and that squatters remained a problem. “I see that the committee is paving the nylon [and tar] roads without thinking about the drainage system,” said U Saw Thiha, an experienced urban planner. “The smart city idea is brilliant. But infrastructure activities, particularly the construction of nylon [and tar] roads, should be done with long-tern urban planning,” he said. U Hla Moe, a lawmaker, said some residents were dissatisfied with city services. “Demand is high. They can’t fulfill all the requests from the people,” he said. The MCDC is designing a standardized online map of Mandalay that better locates sites than Google, whose own map of the city can prove spotty. It also plans to upgrade street signs to meet international standards and to launch an app residents can use to pay their municipal bills and fees at private banks instead of government offices. For all the MCDC’s efforts, U Ye Myat Thu said he could not predict when Mandalay will become a truly smart city but insisted the committee was determined to lay down the necessary foundations before the next general elections in 2020. “We have a smart city dream. It requires hard work and determination. The important thing is that the right people are in the right positions on the committee so that we can work effectively. When the leader works hard to make a dream come true, all of us have to follow,” said U Kyaw San Myint.